If your wedding is lavish and you have something elegant in mind for your wedding souvenirs, it could be a silver scallop that opens to chocolate truffles, a beautiful vase etched with a sea scene along with your names and the date of your very special day, one-of-a-kind napkin rings made from exquisite stones from the sea, nautical wine stoppers, or personalized pilsner or stemless wine glasses with etched starfish or sand dollars. For something a little simpler, yet still reflective of your beachside nuptials, you could choose beachy luggage tags, coaster sets, pillows or beach bags. There are bottle openers or keychains in the shape of a palm tree, flip flop, or anchor. Think sea themed photo frames or candles. If your wedding style is more whimsical, go crazy and have fun with your souvenir choice. Give your guests oversized sunglasses or flip flops that they can wear during the beach portion of your wedding. 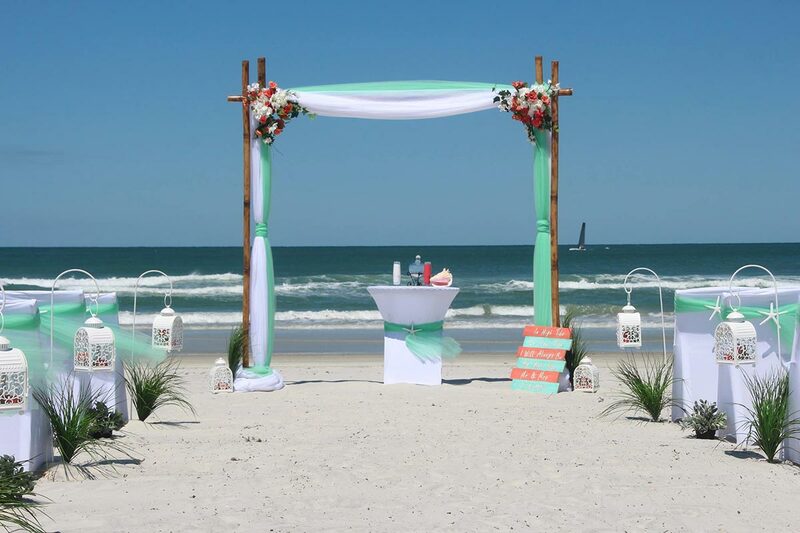 You could provide personalized sunscreen or beach fans to keep your guests cool during the ceremony. You can choose just about anything for your wedding souvenirs, so let your imagination run wild! 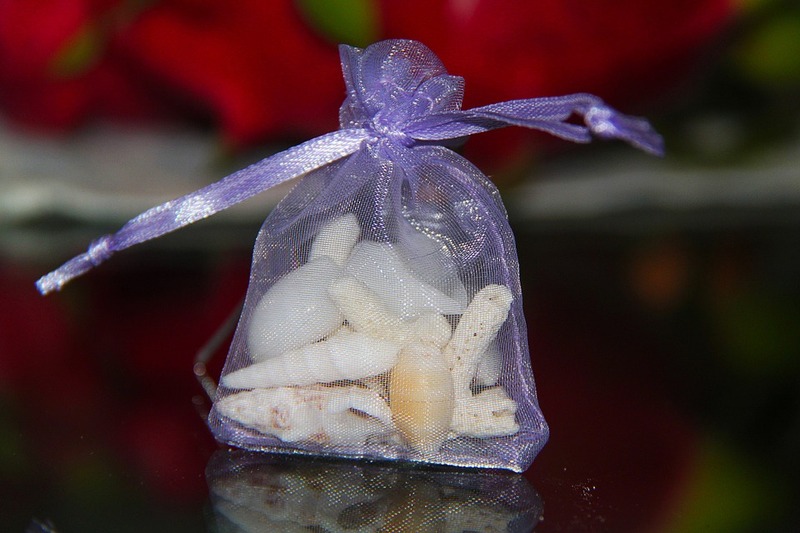 For more souvenir ideas or any other help with wedding planning, call Central Florida’s trusted source for beach wedding planning – Affordable Beach Wedding.